One Stop Auto is a full service auto repair shop, dedicated to making you feel safe and comfortable when when you leave our auto repair shop. 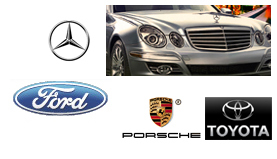 Complete Auto Repair Services - Hollywood, Ca. Monday -Friday 7 a.m. to 5 p.m.
One Stop Auto is open on Saturdays, so you can get those needed Auto Repairs. Full service auto tune-up includes all basic fluid replacements, complete brake inspection, leaks, cooling system and a safety check. Collision Auto body and full service repair. One stop Auto commits itself to make your car like new in an unfortunate collision. One Stop Auto Repair services all major foreign and domestic vehicles. BMW, Mercedes, Toyota, Porsche, Honda, Ford, Chevy, many more.